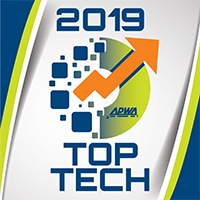 Each "Talking Top Tech" webinar is in a panel discussion format and will focus on looking at one of the identified 2019 Top Tech - through different lenses. A recording of this program will be available through the Members' Library within one week of the live program. You must be logged in to register for this program, please "Sign In" or "Create a new account". Instructions for joining the webinar will be emailed to you the week before the event date and the day of the event.